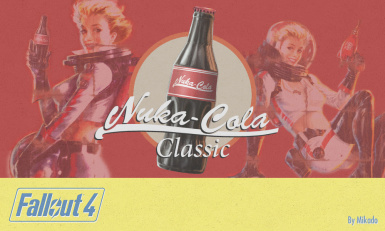 Nuka-Cola Company has heard your complaints and has decided to replace the new "rocket shape" bottles with the good old classic bottles! 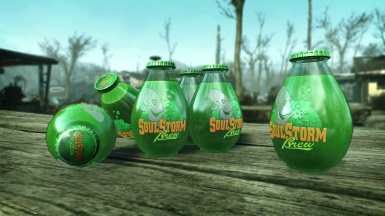 This mod replaces the models and textures of the Fallout 4's Nuka Cola bottles with new custom bottles inspired by Fallout 3 and New Vegas. SoulStorm Brew: Dont Think! Drink! Just a small mod I did to celebrate the announcement of ODDWORLD: SOULSTORM. Originally, I was planning to release it as an April Fool, but I didn't have time to finish it in times. So here it is, with a day late. Nothing less, nothing more... Have fun with it. Do you miss the good old wasteland? 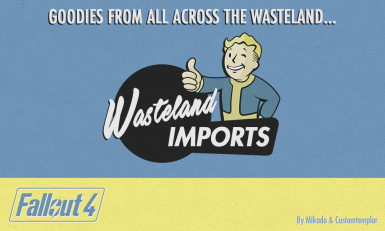 Well, then you might be interested in Wasteland Imports; Making Fallout 4 more Fallout by seamlessly adding in items from previous games. *Formerly known as Mojave Imports. 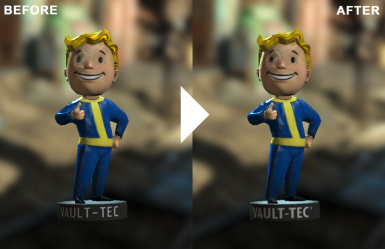 Replaces the Bobbleheads font with the Vault-Tec font from Fallout 3.